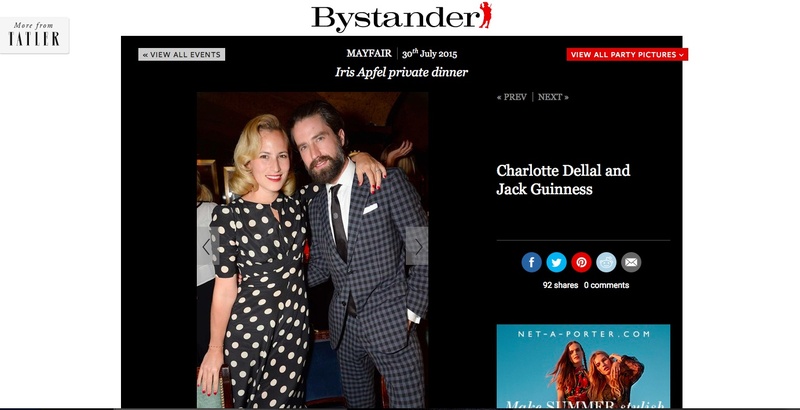 Fab coverage for our coin-dot culottes suit . 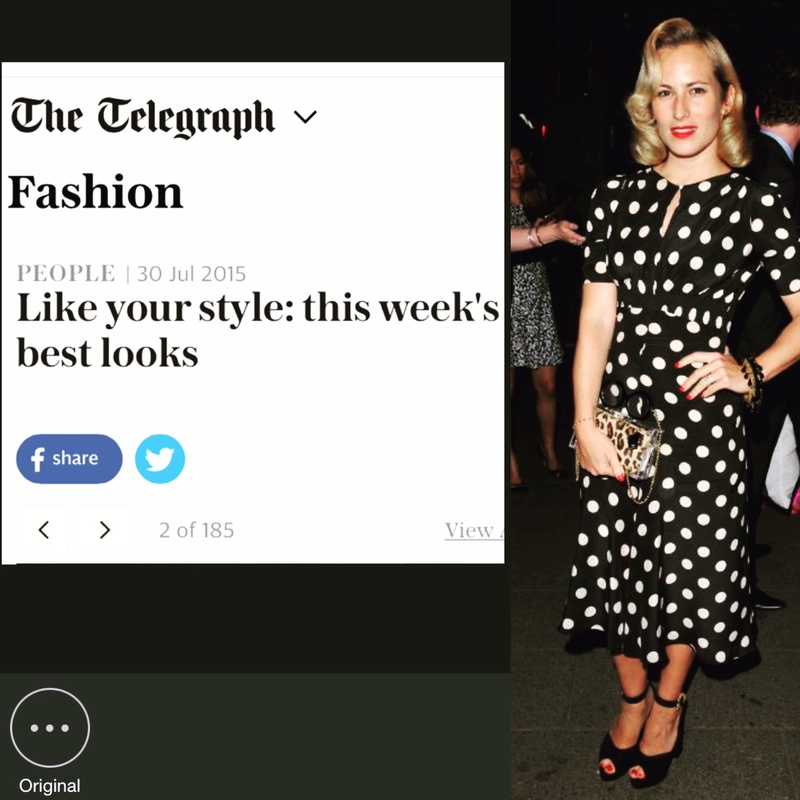 The stunning designer and owner of brand Charlotte Olympia, Charlotte Dellal stepped out in the fab polkas to the launch of Iris this week. The documentary about Iris Apfel. 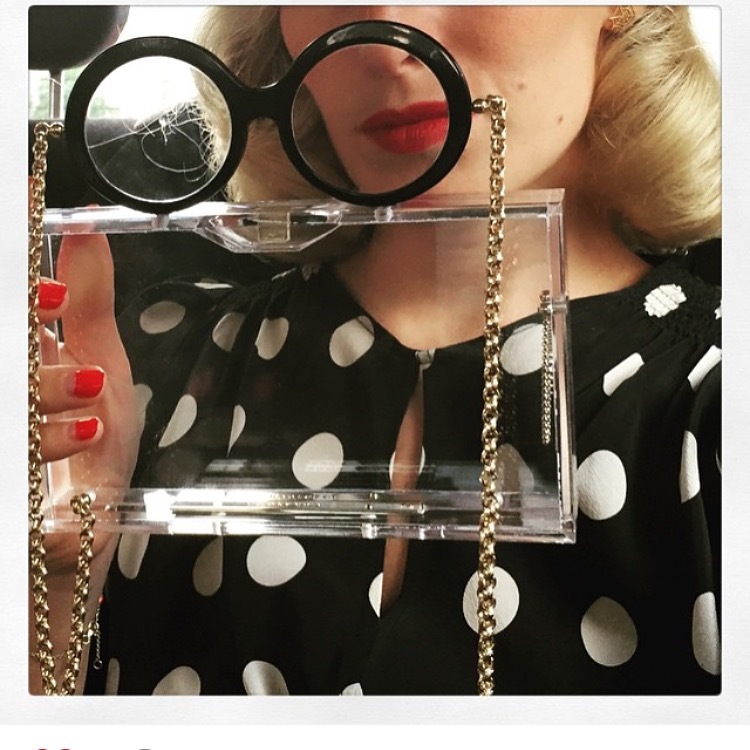 Charlotte carried her new bag inspired by Iris, and teamed with perfectly painted lips and nails and her signature hair rolls. Much coverage was received about the event . W mag, Tatler , Vogue and the Telegraph featured the glamorous affair.